In conjunction with the current exhibition Josef Koudelka »Invasion / Exiles / Wall« at C/O Berlin, the documentary film »Koudelka Shooting Holy Land« will be shown in 3 select Berlin cinemas throughout July & August 2017: at Brotfabrik Berlin [Weißensee], IL KINO Berlin [Neukölln] and ACUDkino [Mitte]! Due to the overwhelming audience demand, additional screening dates have been added for August & September at IL KINO Berlin [Neukölln] and ACUDkino [Mitte]. 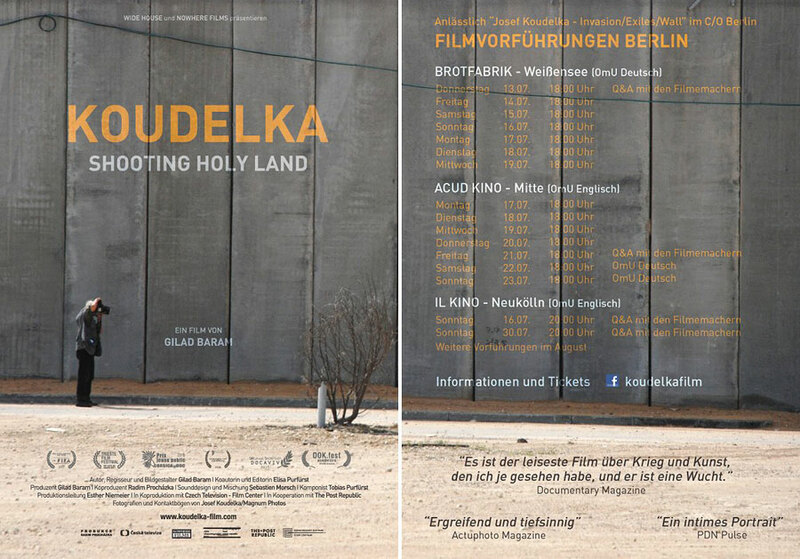 »Koudelka Shooting Holy Land« and filmmaker Gilad Baram return to the best indie kino in town, IL KINO Berlin [Neukölln], for a special winter screening and Q&A. Join us on Sunday, Oct 29, 2017, 8 pm! I grew up behind the wall. For me it was the prison; I was in the cage. A unique and intimate look into the creative process of Josef Koudelka, one of photography’s greatest living masters. 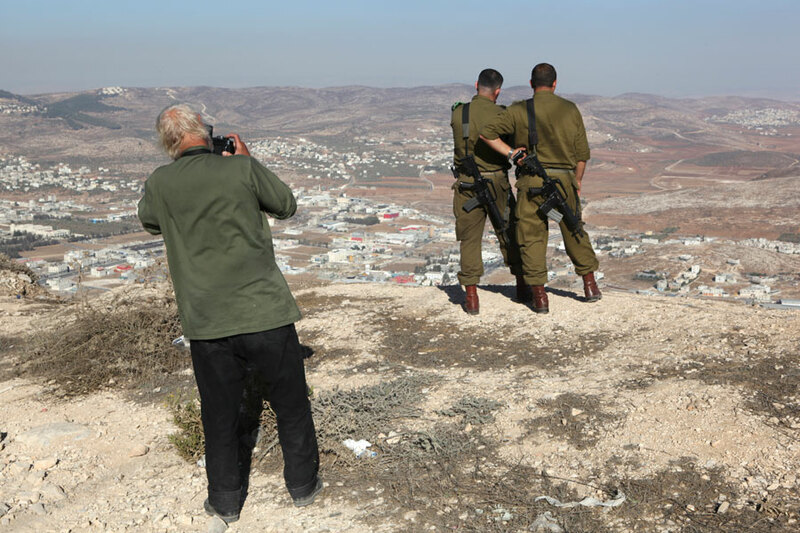 Israeli director Gilad Baram follows Koudelka on his photographic journey through Israel and Palestine as he searches for the elusive moment in which a photograph emerges. Czech Photographer Josef Koudelka grew up behind the Iron Curtain and always wanted to know “what was on the other side”. Forty years after capturing the iconic images of the Soviet invasion of Prague in 1968, the legendary Magnum photographer arrives in Israel and Palestine. 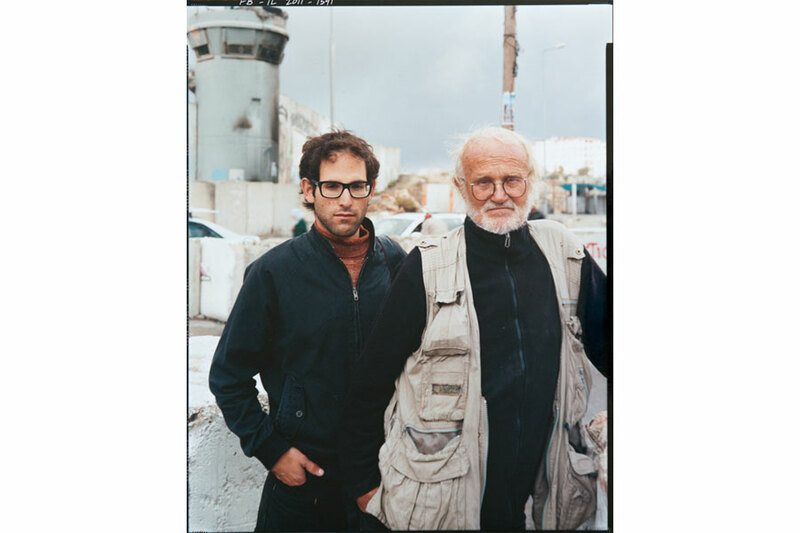 On first seeing the nine-meter-high wall built by Israel in the West Bank, Koudelka is deeply shaken and embarks on a four-year project in the region which will confront him once again with the harsh reality of violence and conflict. 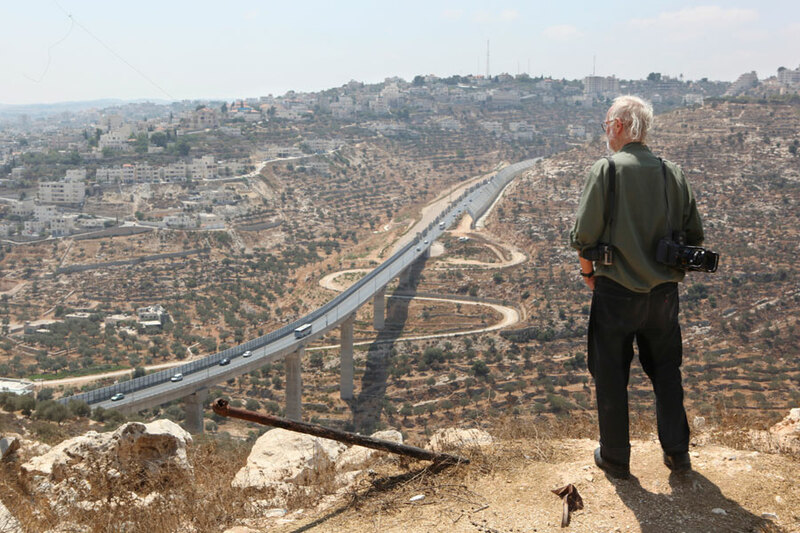 Director Gilad Baram, Koudelka’s assistant at the time, follows him on his journey through the Holy Land from one enigmatic and visually spectacular location to another. In each location – soon to become a new “Koudelka photo” – a new scene unfolds, gradually introducing us to Koudelka’s method of working and his perception of the world he is documenting as well as the people he encounters. A fascinating dialogue emerges between Baram’s cinematography and Koudelka’s still photographs, as Baram places the photographer in his own breathtaking compositions. Their austere images of a landscape carved up by concrete walls and barbed wire reveal the tragic absurdity of the infamous conflict. Koudelka belongs to an endangered species of photographer: the mythic nomad figure forever on the lookout for the next unique image. For more than fifty years he has dedicated his life to photography, waking up to his frames in the mornings and falling asleep with them at night. At the same time, it is these unforgettable images that compose the unique mosaic of his character. The first time I saw Josef Koudelka in action I was hypnotized. When the seventy-two-year-old photographer lifted the viewfinder to his eye, he was transformed; his entire being was now centered on the meeting point of eye and camera. From that moment I knew I had to try and understand the obsessive gaze-driven force at work behind each click of the button. Koudelka Shooting Holy Land emerged out of the rare encounter between a keen young photographer and a world-renowned master of photography. Over five years I realized that in order to portray this unique artist and his singular creative process I would have to carefully learn and eventually adopt his way of seeing. With each visit I studied his movements, the places and situations that captured his attention, the patience and dedication needed to crystallize the single moment. Gradually I learned how to draw the frame around Koudelka. That is, I learned how to look. It was the second week of my studies at the Art Academy in Jerusalem. The head of the Photography Department turned off the lights in the classroom and switched on the projector. Black and white photographs appeared on the screen and the class became very quiet. All eyes were fixed on the images showing the lives of Gypsy communities in Eastern Europe of the 1960s, followed by images of the chaotic events that marked the end of the Prague Spring. The projection ended with a photo of a wrist-watch showing the hour, forever frozen, just before the Russian tanks rolled into the city’s empty streets. Sitting in class and staring at those astonishingly beautiful yet disturbing scenes – that was when I was first introduced to Josef Koudelka. Three years later, in 2009, the same hand I had seen on the classroom screen was gripping mine tightly in a long handshake. 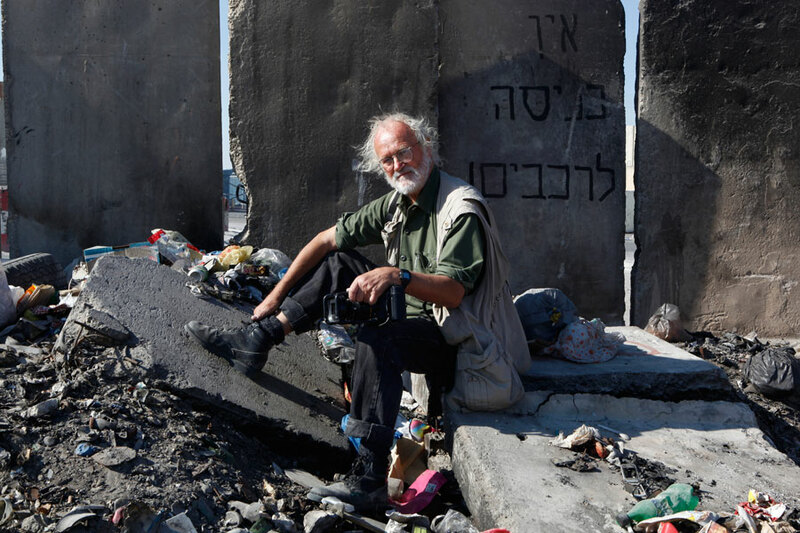 In the lobby of a small Jerusalem hotel a tall man with strikingly white hair and large spectacles introduced himself to me in a loud and assertive voice: “Josef Koudelka. Photographer”. While Koudelka was discovering with dismay the contemporary incarnation of the Holy Land he had read of as a child, I was confronted with the reality of the forbidden and forsaken backyard of my own birthplace which, like most Israelis, I had never seen before. Josef Koudelka (b. 1938, Moravia, Czech Republic) received a degree in engineering from the Technical University of Prague in 1961. While working as an aeronautical engineer in Prague and Bratislava in the early 1960s, he obtained a Rolleiflex camera and began photographing stage productions for theater magazines. Koudelka later left the theater to pursue the documentation of Gypsy life and culture in Romania, Slovakia, and Western Europe, turning to photography full-time in 1967. In 1968, just two days after his return from Romania, Koudelka photographed the Soviet invasion of Prague and the Czechs’ nonviolent resistance. With the assistance of art historian and museum director Anna Farova, his negatives were smuggled out of Prague and published by Magnum Photos in New York under the initials “P.P.” (Prague Photographer) to avoid reprisals against Koudelka’s family. Koudelka was anonymously awarded the Overseas Press Club’s Robert Capa Gold Medal for these photographs in 1969, but did not publicly acknowledge authorship of them until 1985, following the death of his father. Koudelka left Czechoslovakia in 1970 and sought political asylum in England, where he would live for more than a decade. He joined Magnum Photos Agency in 1971, continuing to travel in Europe and photograph its landscape. Koudelka became a French citizen in 1987 and returned to Czechoslovakia in 1991 – following an absence of over two decades – to produce “Black Triangle,” a project documenting the devastation caused by French coal mining in the foothills of the Ore Mountains. Koudelka is the recipient of numerous awards, including two grants from the Arts Council of Great Britain (1973, 1976), the Prix Nadar, France (1978), the United States National Endowment for the Arts Photography Grant (1980), the Erna and Victor Hasselblad Foundation Photography Prize, Sweden (1992), and the Cornell Capa Infinity Award (2004). Koudelka’s photographs have been exhibited internationally at institutions such as the International Center of Photography, New York; the Museum Folkwang, Essen; the Museum of Modern Art, New York; the Palais de Tokyo, Paris; the Stedelijk Museum of Modern Art, Amsterdam; and the Victoria and Albert Museum, London. Monographs of Koudelka’s work include: Gypsies (Aperture 1975), Exiles (Aperture 1988), Prague 1968 (Centre National de la Photographie 1990), The Black Triangle: The Foothills of the Ore Mountain (Vesmir 1994), Chaos (Phaidon 1999), Koudelka (Aperture 2006), and Invasion 68: Prague (Aperture 2008). Koudelka lives and works in Paris and Prague. 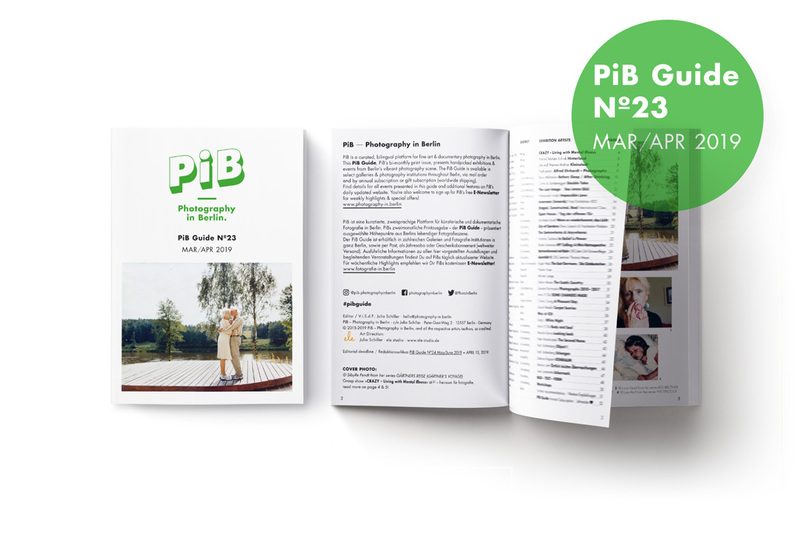 Gilad Baram is a photographer, visual artist and documentary filmmaker based in Berlin and Jerusalem. His work, focusing primarily on lens-based images in the era of Internet and big data, has won scholarships and prizes and has been exhibited in art venues worldwide. 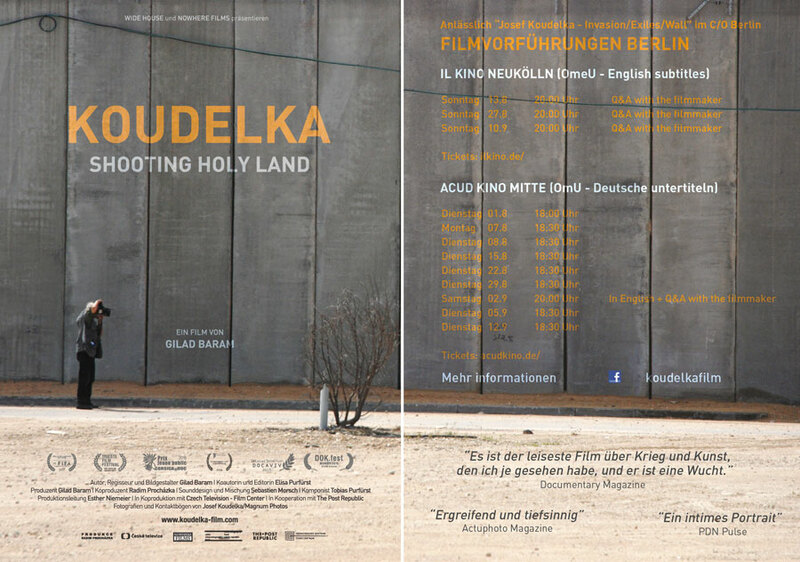 Koudelka Shooting Holy Land is his directorial debut.